The shower squeegee by Zone Denmark is a practical bathroom accessory that keeps the shower squeaky clean and streak-free. 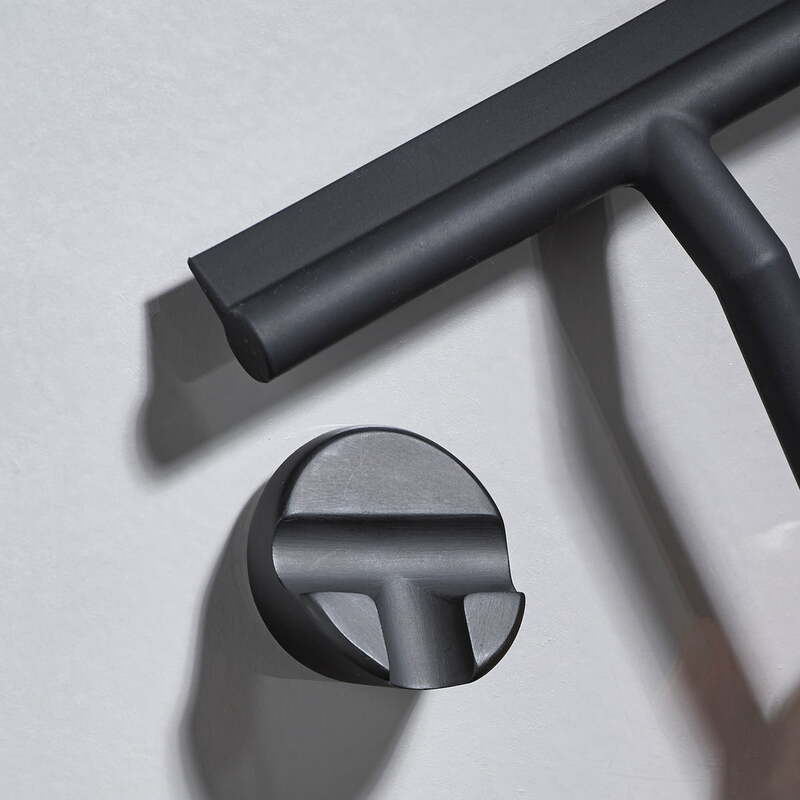 Made of silicone as well as plastic and processed without any visible joints, the squeegee appears to be made from one piece and provides a visual highlight in the bathroom. A slight kink in the handle ensures ergonomic guidance on the glass and makes cleaning much easier. 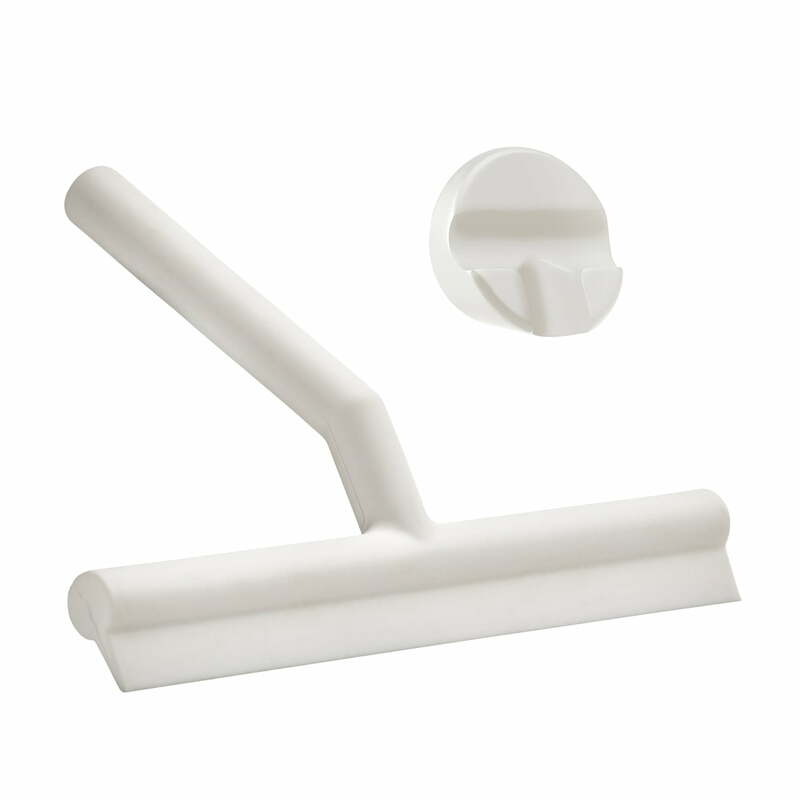 The squeegee comes with a special holder that is simply stuck to the tiles, so there is no installation work and the holder can be removed at any time without residues. A light, invisible magnet in the squeegee holds it in place on the holder, making it look like it is floating . Nice grey colour, very good material. It is a bit smaller as usual squeegee but for me it is a perfect size - I want to use it on a shower glass. It is worth of its price. Looks good, grey is versatile and fits my shower stall colour scheme. The silicone material is gentle on the glass surface and works very well in sweeping. I especially love the magnetic design, so the squeegee gets docked easily in place. Isolated product image of the Zone Denmark - shower squeegee with holder. The shower squeegee by Zone Denmark is a practical bathroom accessory that keeps the shower squeaky clean and streak-free. Isolated product image of the Zone Denmark - shower squeegee with holder. Made of silicone as well as plastic and processed without any visible joints, the squeegee appears to be made from one piece and provides a visual highlight. Lifestyle prodcut image of the Zone Denmark - shower squeegee with holder in black. A light, invisible magnet in the squeegee holds it in place on the holder, making it look as if it is floating.